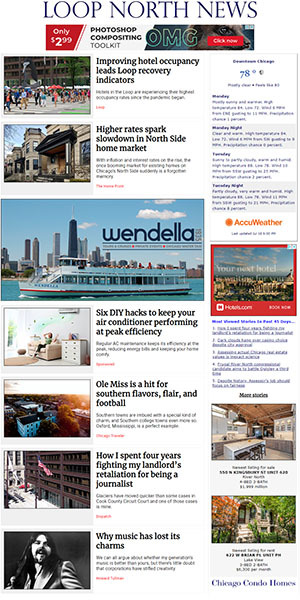 7-May-09  An April 18 article in MCO went on and on about web sites based at Marina City ranking between 100,000 and one million in visits. Imagine our surprise to hear from Marina City resident Jan Klerks, who operates the worlds largest architectural web site, with an Alexa traffic ranking closer to 2,000. The site claims 21,406 users logged in on February 25. Recent topics in the sites Chicago forum include arts in Chicago, the economy, Olympics, and the L, past and present.